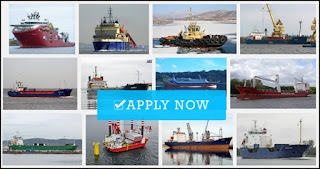 NOW HIRING for SEPTEMBER 2018 DEPLOYMENT At least 18-24 months OVERSEAS EXPERIENCE in RANK and the same type of vessel/s. Wallem Building Phils. Beaterio corner Legaspi Sts. 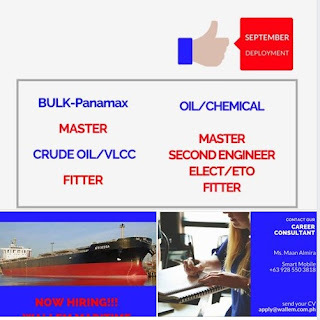 0 Response to "Master, 2/E, Elect, Fitter For Bulk Carrier and Tanker Ship"